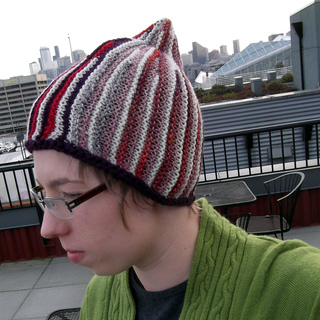 Knit from side to side using shot row shaping, this hat is a great way to use up small amounts of leftover yarn! 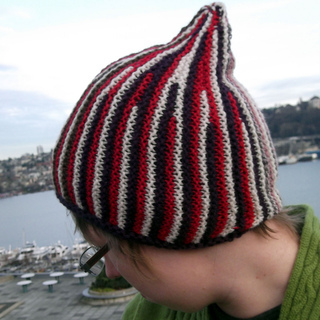 Simple short rows and the fact that you need only one set of needles make this project easy but interesting enough to knit on the go. 18 (20, 22) inches around by 9 inches high; finished size stretches to 20 (22, 24) around. Shown in 18 inch size. Pattern is a PDF download. You will be able to download the PDF after checking out.